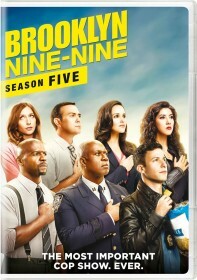 FOX has issued the press release for the November 15 episode of Brooklyn Nine-Nine, "The Mattress". Jake and Amy convince the Captain to let them work a case together involving a new street drug, but their new relationship gets in the way. Meanwhile, at the precinct, Charles panics when he realizes he’s damaged one of Holt’s prized possessions and Terry teaches Rosa a lesson in discipline in the all-new “The Mattress” episode of BROOKLYN NINE-NINE airing Sunday, Nov. 15 (8:30-9:00 PM ET/PT) on FOX.